One of my favorite things about LA is seeing the filming locations from classic films and television shows. So, while I was in La La Land over the weekend, I couldn’t pass up the opportunity to snap a pic at the site of the Donna Martin graduates protest on Beverly Hills, 90210. Nor could I miss the chance to bust out some dance moves in the warehouse where they shot Michael Jackson’s Beat It video. But those aren’t the only sites I’ve visited. Whether it be on a lot or on a suburban street, here are my favorite movie and TV filming locations in the Los Angeles area. Located on the CBS Radford lot, the block that houses Jerry’s stoop isn’t much longer than what you see here. Pasadena is the locale for quite a few homes used on screen, including this one from Father of the Bride. Located in Burbank, this is where Cher was forced to ruin her dress (an Alaia!). Much to my chagrin, I couldn’t locate Donna or Kelly. Not even Ray Pruitt skulking on the porch. Accessible from the beach, this rental house is located on the Strand in Hermosa Beach. The manor isn’t located in San Fran at all, it’s on Carroll Avenue in downtown LA, just a couple of doors down from the Thriller house. Located just off Melrose, the street front for MP can be found in Los Feliz. The house where Ed Rooney tries his best to bust Ferris is located in Long Beach, though everything else from the movie can be found in or around Chicago. While the Christmas Vacation house is situated in a private area of the Universal lot, the original Griswold home is located near Griffith Park in Los Feliz. Nope, the school used in BH, 90210, and Buffy the Vampire Slayer is actually Torrance High School (located nowhere near the 90210). The school is also featured in She’s All That, Whatever It Takes and Not Another Teen Movie. 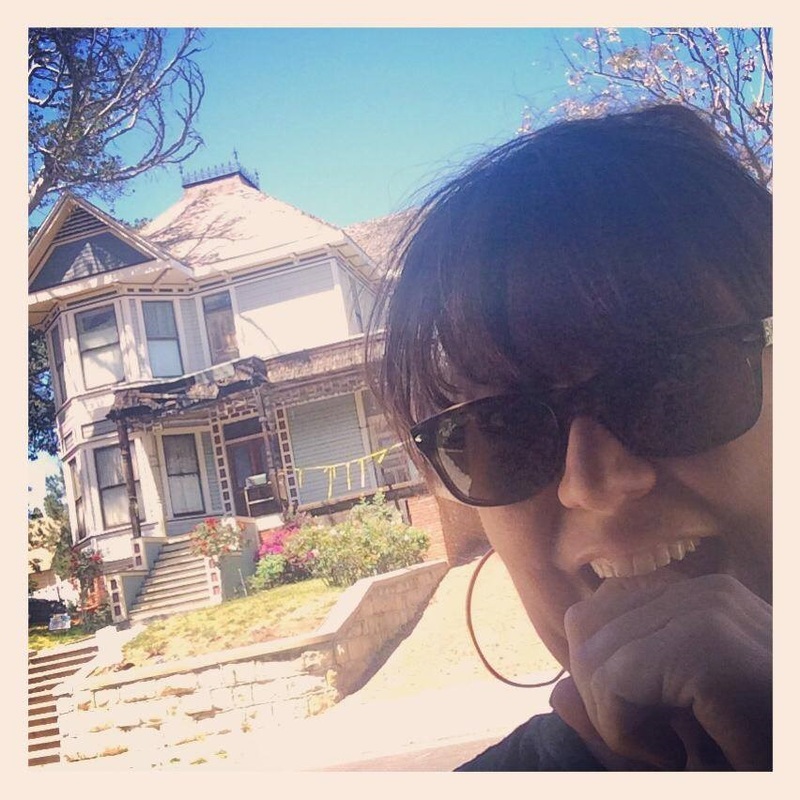 The homes of Louise Miller and Madame Serena on Teen Witch! The Miller home is located on Irving Blvd. in Central LA while Madame Serena’s is on Carroll Avenue downtown, just a few doors down from the Charmed house. It’s also one of the filming locations for the Thriller video. Want more LA filming locations? Check out our album on Facebook which contains many more!